People are always asking what items are needed for current SC&C projects, so here it is, The List. If you'd like to sign up for an item to donate, please choose from the list below then email us at [email protected] to schedule delivery or pickup. And don't forget, you can always go to http://sippycupsandchardonnay.org/make-a-donation/, make a donation and have some of our thriftiest moms do the shopping for you. Thank you!! P.S. If you find an incredible deal on something that isn't listed, please contact us to see if we can find a use for it locally! Make a cash donation and have us shop for you! 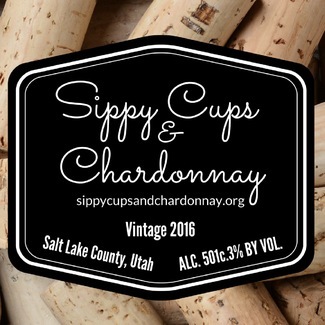 If purchased online, please ship to Sippy Cups & Chardonnay, 2898 W 8870 S, West Jordan, UT 84088. Please don't spend more than $5 per backpack. Pencils, Pens, Markers, Scissors, Colored Pencils, Rulers, Glue, Glue Sticks, Crayons, Notebooks, Folders and Pencil Boxes. Look for good deals only. Under $0.50 each is okay, under $0.25 each is much better. Ramen, Canned Meat, Canned Soups, Coffee Creamer, Paper Towels, Candy Bars, Non-Dairy Creamer, Hot Sauce, Granola Bars, and Trash Bags.